I am so excited to be creating again if only for a little while! I was adventuring across the country in Oregon last week, then across my beautiful province of Newfoundland to Corner Brook this past weekend and tomorrow I cross the Atlantic Ocean to Nova Scotia! But before I go, I created a card for the Be Inspired Design Team. This month we are trying to inspire you by "blinging it up!" To get inspired I first went back to the check out the Broadway Bound Designer Series Paper. 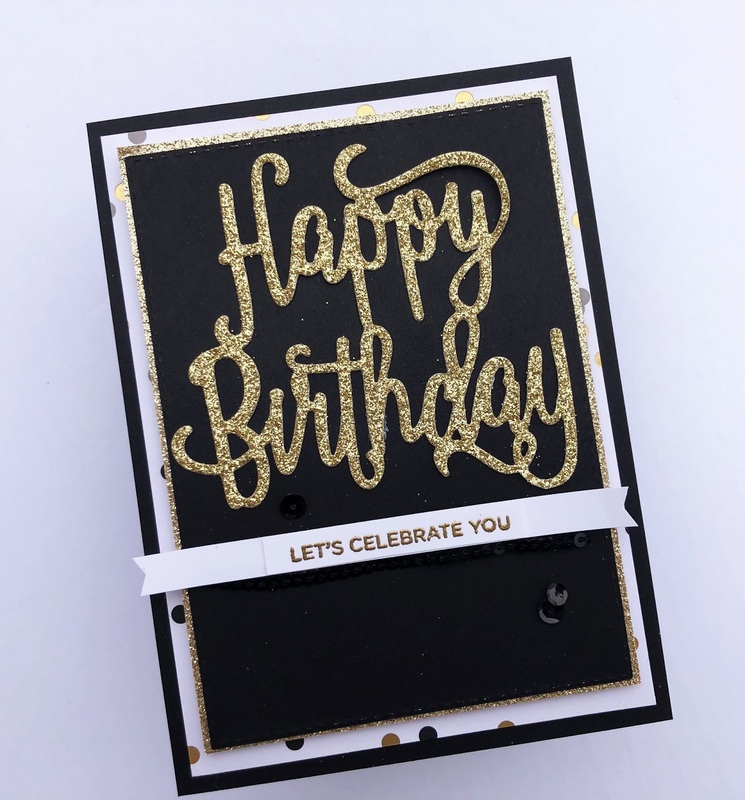 And that was all I need as I found the black, gold and silver confetti on the white paper. There's several layers of fun - I always love the black and gold combination! That's it for now, I can't wait to see what Manuela Geiswinkler has created - she's up next! 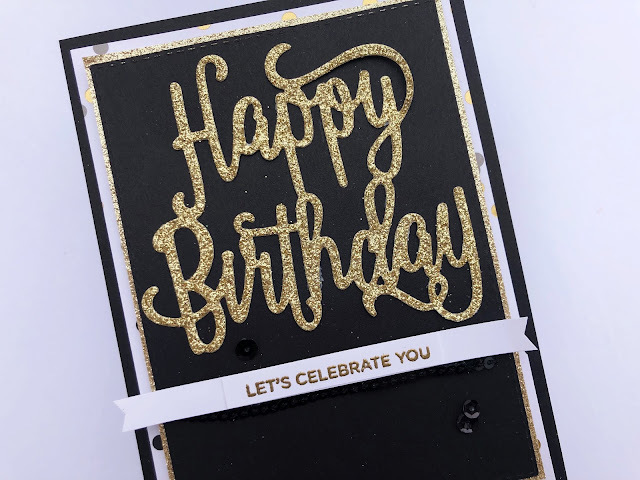 Love the gold-and-black combination. Such a sophisticated card with a touch of blingy fun. Happy travels!